Increasing the energy efficiency of America’s multifamily buildings could save building owners and managers, residents, governments, energy efficiency service providers, and financiers close to $3.4 billion in annual savings. Recognizing this, a new report from the Institute for Market Transformation (IMT), “Catalyzing Efficiency: Unlocking Energy Information and Value in Apartment Buildings,” explores how governments and energy efficiency implementers could help these stakeholders better analyze and act upon building performance data to unlock these savings. This report was made possible with the ... support of the John D. and Catherine T. MacArthur Foundation. Although HUD spends about $6.4 billion annually on utility costs across its total housing portfolio, it is currently unable to eﬀectively manage its energy and water consumption.... For 2016 through July, Fannie Mae provided more than $1.2 billion for green financing. Freddie Mac was the top multifamily lender in 2015, with $47.3 billion in multifamily financing, supporting 650,000 units.105 Freddie Mac collects ENERGY STAR scores on a voluntary basis and borrowers can provide their building’s score with their loan documents. ENERGY STAR scores are then reported in Freddie Mac’s commercial mortgage-backed securities oﬀerings, known as K-Deals. 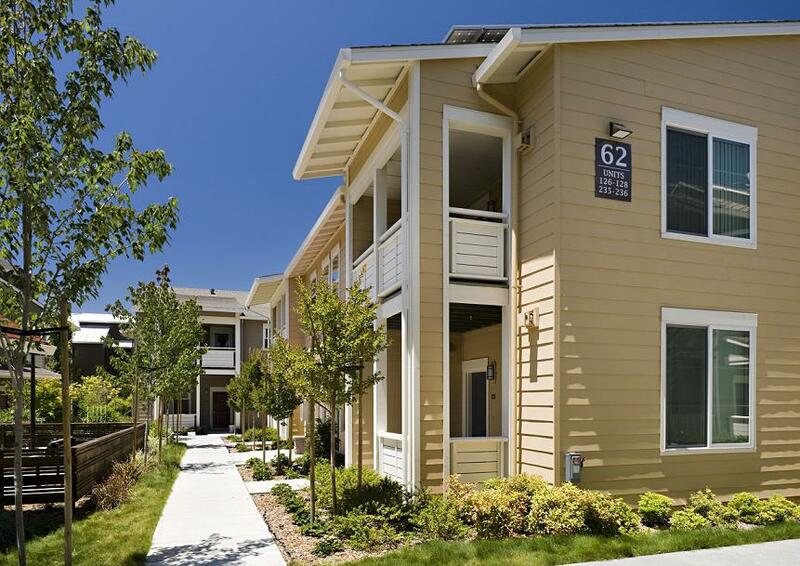 To encourage owners to benchmark their properties, Freddie Mac oﬀers a $5,000 rebate on new property loans for properties of at least 20 units that have an ENERGY STAR score.107 Moreover, in August 2016 Freddie Mac launched the Freddie Mac Multifamily Green Advantage to promote energy and water efficiency investments.108 Under Green Advantage’s Green Up and Green Up Plus programs, borrowers can obtain better pricing and additional proceeds to finance efficiency improvements that will save 15 percent energy or water usage. Both programs require energy and water benchmarking, and owners must provide Freddie Mac with access to the building’s ENERGY STAR profle.109 Green Up requires borrowers to complete a Green Assessment based on the ASHRAE Level 1 standard, while Green Up Plus requires a Green Assessment Plus that meets the ASHRAE Level 2 standard. Notably, Freddie Mac will underwrite for 50 percent and 75 percent of projected owner-paid energy and water savings for Green Up and Green Up Plus respectively and will reimburse owners for the cost of the assessments by up to $3,500. Freddie Mac expects about 200 properties per year will use Green Up or Green Up Plus,110 contributing to the projected $1 billion in Green Advantage business by end of 2016 and $3 billion to $3.5 billion in 2017 business. Some lenders are beginning to use building performance data in managing their portfolios. HomeStreet Bank is a bank with $5.42 billion in assets providing lending services to multifamily borrowers in the Western United States and Hawaii through construction, bridge, and permanent loans, and nationally through the Fannie Mae Delegated Underwriting and Servicing Program. The Institute for Market Transformation (IMT) www.IMT.org is a Washington, D.C.-based nonprofit organization promoting energy efficiency, green building, and environmental protection in the United States and abroad. IMT's work addresses market failures that inhibit investment in energy efficiency and sustainability in the building sector. For more information, visit imt.org.